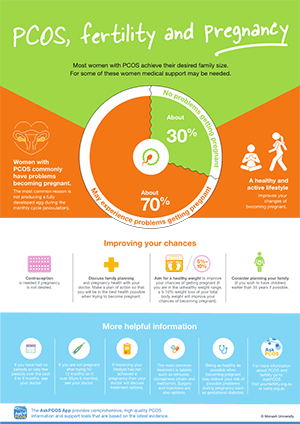 Following is a series of infographics which we hope will enhance your understanding of PCOS. 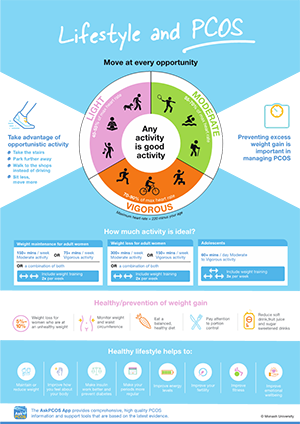 Please click on the images to find out more. 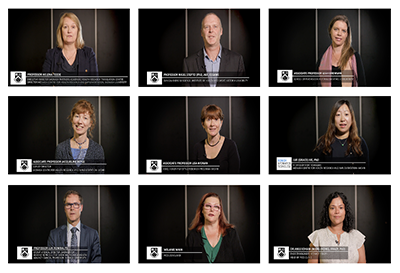 Leading health professionals, academics and women with PCOS talk about the importance of the Guideline. 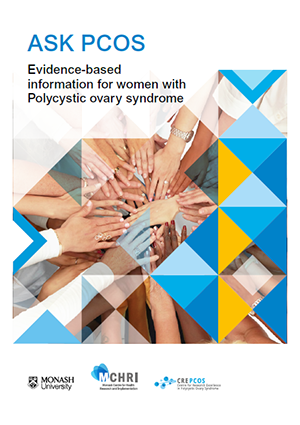 This Polycystic Ovary Syndrome (PCOS) information booklet is provided in digital format for PCOS consumers. 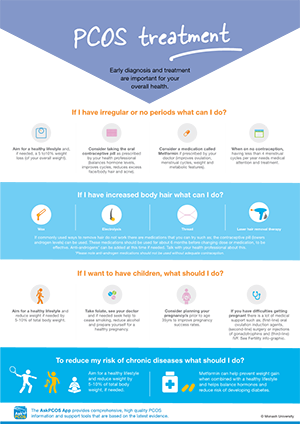 The booklet is easy to read and is based on the best available evidence and written by leading experts. 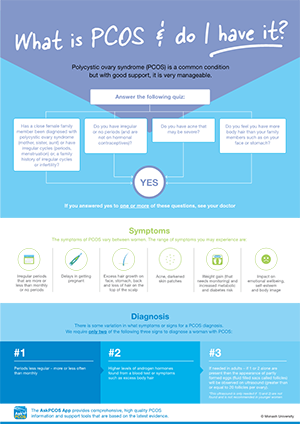 The Statewide Polycystic Ovary Syndrome Service is unique and is the first of its kind nationally. The Service is co-designed by women affected by PCOS and staffed with a multidisciplinary team who are world leaders in PCOS. It is supported by funding from the state government and affiliated with the NHMRC Centre for Research Excellence in PCOS. It is a public clinic offered through Monash Health. 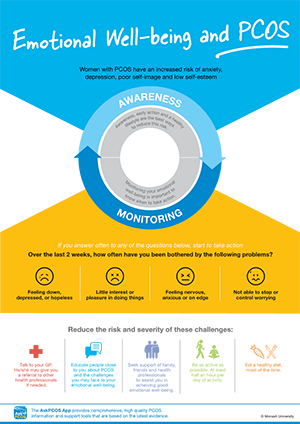 The Question Prompt List is a document intended to help women with PCOS obtain professional medical advice. It lists questions that are OK to ask your doctor or health professional. It is for women of all ages, weights and backgrounds. You may have been diagnosed recently or a long time ago.